The No. 5 North Carolina Tar Heels crushed the No. 11 Miami Hurricanes, 96-71, in college basketball action on Saturday at Dean Smith Center. On most days, a decisive win over a top-15 team would rate as a headline development. 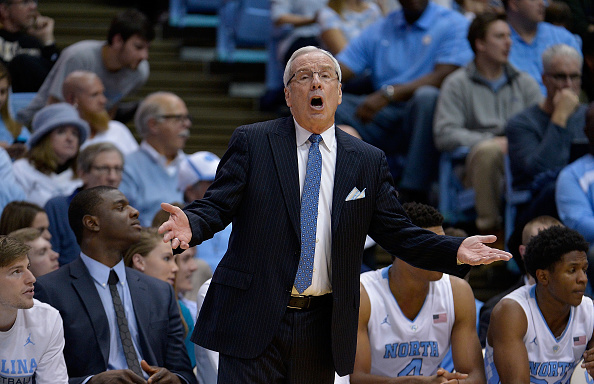 However, the main topic in Roy Williams’ postgame press conference was a set of remarks made by a television commentator before the game. During the CBS pregame show, analyst Doug Gottlieb suggested that Williams would retire after the season, and then be replaced as head coach by former Tar Heels star Hubert Davis. The possibility of future NCAA punishments against the Tar Heels — which might make North Carolina ineligible for the 2017 NCAA Tournament — also looms in the background as another reason why Gottlieb said what he said. Nevertheless, his comments — which did contain a speculative quality — possessed a level of precision regarding North Carolina’s succession plan if Williams does step down. If Williams was upset with Gottlieb, it’s easy to understand why.